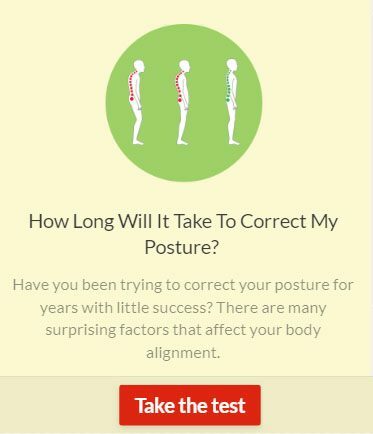 Have you ever thought about how how much you strain your neck throughout the day? You look down to text. You look down to reply to your email. You look down to check your Facebook. You look down to send a tweet. You look down to type on your keyboard. You look down to read. You look down to speak with your children. This can potentially add up to several hours each day that your neck is tilted forward and/or down. Why does this matter? Your neck is the connection between your brain and the rest of your body. The messages that your brain needs to send to the rest of your body must travel through your nervous system, which is encased by the bones of your spine. If the spinal bones in your neck are continually forced into a forward (or looking down) position, it puts a great deal of pressure on your nervous system. This interference causes “electrical problems” whereby the information that needs to flow freely in the nervous system can no longer do so. It can cause a “short-circuiting” effect in your body, where certain areas of your body develop illnesses or issues because they are lacking all of the information they need to function at 100%. Additionally, these misalignments can lead to Forward Head Posture, a serious condition that must be addressed by a chiropractor, to begin bringing the carriage of the head back into alignment with your neck and shoulders. If we look at you from the side, your ears should be centred on your shoulders, with the correct curve in your cervical spine (your neck) to allow your nervous system to be free of misalignments. If your ears are lining up closer to the front of your shoulders, or even more forward, you are experiencing a significant loss of the correct curve in your neck, to allow the messages to travel properly within your nervous system. This is a very serious problem, because even a loss of curve by 1 degree puts significant pressure on your nervous system, never mind the potential for a couple of inches. This misalignment can actually develop into a loss of curve, or even a reversed cervical curve and can put immense strain on your health. This condition can actually lead to experiencing migraines, breathing problems, heart disease, various nose, throat and ear problems, learning difficulties and emotional problems. This is such a critical area of your spine that must be free of misalignments to allow your body to express real health. Have you noticed this problem in your spouse or your children? It is especially worrisome for children to have reversed cervical spines, as it can compound into many problems throughout their lives. And as we all know, when problems are left unaddressed, they tend to get worse, not better. As we are spending more and more time on our devices and computers, the unnatural strain we are putting on our necks becomes even more prominent. Find a chiropractor in your area that can help you to express optimal health. Follow the care plan laid out for returning the proper curve to your spine. Especially in children, the rate of complete correction can be quite high, as they are growing and developing quickly.